With a mighty creak of long-rusted hinges, a door is finally opening in Washington. The present Congress will apparently be asked to consider a carbon tax. The measure — actually, a hybrid carbon and petroleum tax — will be introduced by the powerful chairman of the House Committee on Energy and Commerce, Rep. John Dingell (D-Michigan). Today Dingell posted on his Web site a summary of the bill, which he began drafting in June. The current version would phase in, each year for five years, a charge of $10 per ton of carbon content of coal, oil and natural gas; plus an additional 10 cents/gallon for gasoline and jet fuel (kerosene). By the end of the five-year period the charges would reach $50/ton of carbon plus 50 cents/gallon of gasoline and jet fuel. These equate to 63 cents a gallon of gas and 90 cents for one hundred kilowatt-hours assuming the nationwide average fuel mix. Dingell is asking the public for comments. Here’s ours: we think the bill is terrific. In line with what we said when we founded the Carbon Tax Center, and as Dingell himself wrote last month in the Washington Post, "[S]ome form of carbon emissions fee or tax … would be the most effective way to curb carbon emissions and make alternatives economically viable." Moreover, as we elaborate below, his supplemental tax on gasoline and jet fuel has the look of genius. halting the tax after year 5, continue ramping it up. If the tax works and the impacts on families and businesses can be offset through tax-shifting and rebates, why stop? Carbon dioxide emissions would be down by 1.55 billion metric tons from projected levels, a 20% drop — a decrease equivalent to current emissions from England, France and Italy combined. Petroleum consumption would be 4.5 million barrels a day less than otherwise, an 18% decrease from projected usage, and more than 10% greater than Iran’s current production. Moreover, these reductions could be supplemented by savings from other targeted policies and programs to reduce use of petroleum, natural gas and coal-fired electricity. (Indeed, a companion section of Dingell’s bill will call for phasing out the federal tax deduction on mortgage interest on very large homes, thus ending a subsidy through which middle and working class families subsidize gargantuan sprawl homes for the wealthy.) 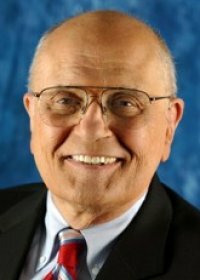 No other single policy measure — not broader CAFÉ standards, not a national Renewable Energy Standard, not a massive biofuels push, and certainly not a new generation of subsidized nuclear power plants — can produce nearly the carbon and petroleum savings promised by the Dingell hybrid carbon tax, provided it extends beyond the initial five-year period. The brilliant touch in the Dingell bill is the supplemental tax on gasoline and aviation fuel. Dingell obviously grasps that a carbon tax alone can’t end America’s dangerous oil dependence. A straight carbon tax falls most heavily on coal, both because coal’s carbon content is so high and because electricity, the form in which coal’s energy is delivered, is more price-elastic than gasoline. 20% more CO2, than a straight $10/ton-a-year carbon tax. annually after Dingell’s initial five years, and much more if the ramp-up is extended. While CTC strongly favors the revenue-neutral route, Rep. Dingell has his own ideas for using the revenues — as will just about everyone else. For now, we urge you to read Dingell’s Web statement and post a comment on his site and at other sites that cover climate, energy, oil, national security, and politics. Having a legislator of Dingell’s stature even float a carbon-tax trial balloon is a very important and positive development — possibly a breakthrough. There’s a lot riding on it. Be heard. and the Larson American Energy Security Trust Fund Act. The Dingell proposal is certain to give these bills some of the prominence they deserve. I’m surprised (and glad) Dingell’s bill has met with your approval. I had read that he proposed it merely as a way to avoid mandatory increased mileage standards for the automobile companies. Whatever his motives, it’s good that some in Congress are beginning to think along these lines. Wow is all I can say. This is fantastic. Lets hope he is for real – it certainly seems that way. Any insights? Glad to see this. I wish he had included carbon tax rebates and elimination of regressive tax-the-poor policies, and an end to the "TAX is a 4-letter-word" mentality. Why not $50/gallon? It would be a lot better! This is a ringing endorsement of a legislative strategy that conventional wisdom says will be DOA. As unconventional thinkers, tt would be helpful if you identify examples of US taxes which are both revenue neutral and lively enough to meet expectations. If revenue neutral tax policy has no historical precedent, an account for your optimism on the neutrality promise would do a lot to propel your position. While I too am pleased to see this proposal from the powerful Energy & Commerce Committee chair, the lack of the revenue neutral component that CTC favors seems to call into question the proposal’s political viability. While the the plan’s proposal for revenue allocation seems on its face laudable, in fact only the earned income tax credit item directly addresses the fact that the financial impact of the carbon tax will be disproportionate on those who can least afford it. It’s not just the lowest income levels that will be substantially impacted – middle income earners will also bear substantial increased costs. A plan that doesn’t directly offset the increased tax burden on this politically important population segment seems to me to be politically doomed. It does call into question whether in fact this proposal is a brave first step in addressing climate change, or alternatively a distraction from efforts to substantially increase auto manufacturer CAFE standards. The $50/tC after 5 years amounts to only 13 cents a gallon of gasoline. It is in fact entirely superfluous – does anyone here really think that gasoline won’t go up by more than 13 cents a gallon five years from now, even without any new taxes at all? With increased demand from China and other developing countries, and ever more expensive oil sources, we are likely to see much higher gasoline prices in the next five years and beyond. This will give us the effect of this carbon tax and much more. You say, well that’s why he’s also adding a 50 cent gasoline tax on top of it. But does that make economic sense? No! You can’t just add a tax for no reason. The beauty of a carbon tax is that it treats all pollution sources the same and lets the economy adjust to find the most efficient means of reducing CO2 emissions. By picking and choosing additional taxes you take away this optimality and only increase the total costs to society. The real effect of the $50/tC is on coal. That will roughly double the price of coal, making a huge difference for power plant operators. Facing such a tax phase-in will affect planning throughout the electrical generation industry, forcing a move away from new coal plants and towards alternative fuels. This is a desirable outcome!You casually dismiss this by saying that electricity is more price elastic. Well, that’s the point! Different carbon uses have different elasticities, which means that they can be substituted with different costs. We should encourage substitution precisely in those uses which can be substituted most cheaply. That’s the strength of a carbon tax. Dingell’s proposal adds his gasoline tax, the McMansions tax, all this other cruft. It would be better if it were a straight carbon tax, which would largely amount to a tax on coal and would produce the most cost-efficient CO2 reductions possible. Hal — I’m unclear on your objections to the Dingell proposal. You point out, correctly, that $50/tC is barely visible when it comes to gasoline, but then criticize Dingell’s 50 cent/gal gasoline "kicker" as having no reason? Yet many Americans (including yours truly) view U.S. oil dependence as a grave problem. Would $100/tC be better than Dingell’s $50/tC plus 50 cents/gal? That’s a fair question and the answer may not be clear-cut. But is $50/tC alone better than $50/tC + 50 cents/gal? No way! But in any event, nothing stops Congress from enacting the Dingell proposal and then re-upping the ramp-up for another 5 years … and another … and another, which is what we modeled in our post at the top. Ron — You’re not alone in questioning Dingell’s sincerity. No one knows for sure, but we think his proposal is already having terrific educational value. CTC strongly urges revenue-neutral carbon-taxing, and it’s up to all of us who feel that way to be heard. My objection can be stated most succinctly by pointing out that the 50 cent per gallon tax is not a carbon tax. Since this site is carbontax.org I would assume that you are familiar with the arguments in favor of carbon taxes. "In order to get to this end we need to have a multi-pronged approach. In addition to an economy wide cap-and-trade program, which would mandate a cap on carbon emissions, a fee on carbon is the most effective way to curb emissions and make alternatives economically viable." A carbon tax is absolutely essential and will happen sooner or later. The question is how drastic it will have to be to address the problem, given the amount of foot-dragging that is going to happen before people wake up and demand it. Do not insist on waiting for the “best” solution; none exists. Instead, embrace this effort, get it passed, and then make it better over time. I agree with readers who noticed how insignificant the numbers are: 63c/gal after 5 years? Last 2 weeks gas went up 16c! Electricity: .9c/kwh doesn’t seams a lot ~ 10% of current price. I think Hal could be right – don’t mix carbon tax with gasoline tax in the same bill. I have different numbers and correct me if I’m wrong but $300/tCO2 would equal $1.25 tax on gasoline (its oil component; would be less for E85) and about 10c/kwh. This kind of shock and awe would be extremely difficult to push through legislation and to sweeten it revenue neutrality is absolutely necessary. Good choice would be offsetting by cutting into payroll tax… You can not reasonably predict how big would be effect of consumption suppression on price of oil, but it is reasonable to expect that balance would be tilted toward lower price. This way the gas price would not grow as much as the tax addition. I agree w/ some of your points but not all. Agree: Revenue-neutrality is vital. Payroll tax swap is an excellent option. Fuel taxes will reduce non-tax price, hard to say how much. Disagree: With your likening the 63c/gal 5-y increase in the Dingell proposal to 16c rise in past two weeks. Latter is ordinary price fluctuation/manipulation that drivers rightly interpret as noise. Indeed, 2007 avg price (first 3Q) was identical to 2006 avg (first 3Q)! What’s needed is an unambiguous signal that the price will rise (due to tax) and at approximately such-and-such rate. Disagree: With your math on $300/tCO2 impact. That would be just under $3/gal, not $1.25. But regardless, ramping it up gradually but steadily is the key. I strongly agree that creating a price floor using tax would be beneficial (total risk to investor in no carbon technology would be significantly lowered unleashing market forces capable of bringing the biggest changes).Charles, interesting avg price comparison.My inclination to treat the gas tax and carbon tax separately is due to different goals of those taxes:gas tax -> less gas consumption/new transportation technology -> lower trade deficit (smaller CO2 reduction)CO2tax -> lower energy consumption/movement to noCO2 technology -> large CO2 reduction (less effect on trade deficit/national security)Both goals are good but they could be more difficult to achive together. I am an engineer, and have studied energy for the better part of six years. Dingell’s carbon tax structure is nearly identical to what I would propose. I am very impressed with the tax proposal, and believe this would be a realistic way to meet the needs of our future. Government will not be able to afford tax incentives for renewables, considering the growth projections, and a carbon tax indirectly helps renewables renewable energy generators and alternative fuel. I also believe in taxing diesel at a different rate. Diesel powers the economy, and several countries tax diesel less to maintain the economy. I also suppor the view that carbon tax with a well known structure helps businesses prepare their cap-ex budgets with known projections and costs. Why would 60% go to roads, since travel would be cut dramatically? I suggest making the roads more friendly to alternative means of transportation IE; bicycles, scooters, mopeds. I cannot travel any state routes safely, while riding my 100mpg moped because there are not any lanes designated for slower(40mph) transportation. And another problem arises once in the city due to parking being designed for cars not mopeds and scooters. I am a novice when it comes to politics and bills, but I have more questions than what I just posted and I dont beleive I will receive any good responses, other than "everyone will need to make concessions". That to me means Ill have to make concessions even though there are other solutions that can be added to this bill that would allow less of an impact to my very humble lifestyle.